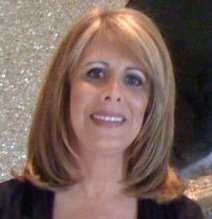 Linda Berko is a licensed psychotherapist with a private practice in Palm Beach, Florida. With over 20 years experience I continue to deepen my compassion and regard for your journey. I incorporate a blend of styles and skills uniquely tailored to each individual client. My treatment approach is grounded in attachment and trauma, with a biophysiological perspective. My goal is to help you extinguish old patterns and automatic reactions so that therapy does not have to be a life long process. Experiencing difficulties in your life? Struggling with depression, anxiety, grief? Feeling hopeless, helpless or alone? You can start the process by contacting me to schedule a complementary telephone consultation. Together, we can explore strategies to change your life, overcome the obstacles, so you can meet your challenges with greater clarity, resilience, confidence and joy.